Virgin Australia has completed the cabin reconfiguration of its 10 New Zealand registered Boeing 737-800s and brought those aircraft onto one of the airline’s Australian air operator’s certificates (AOC). Since late January, Virgin has progressively transferred the 10 ZK-registered narrowbodies to its Australian register and given them VH- registrations as part of plans to streamline operations. The aircraft were also reconfigured from their previous 180-seat premium economy/economy layout to the standard eight-seat business and 168-seat economy cabins on Virgin’s Australian-based 737-800 fleet. The first of these, ZK-PBA, was re-registered VH-VOO on January 30, according to a search of the Civil Aviation Safety Authority (CASA) civil aircraft register database. And the process concluded on March 18 when ZK-PBL operated its first commercial service after being re-registered as VH-VUQ as VA308 from Brisbane to Melbourne, according to flight tracking website Flightaware. Virgin Australia chief executive John Borghetti said returning the aircraft onto the Australian register, as well as other changes such as transferring some flight planning responsibilities from Christchurch to its Brisbane operations centre, was the latest step in the airline’s transformation plan. “It was time to bring New Zealand into the more complete structure,” Borghetti told reporters at Virgin’s first half results presentation in Sydney on February 19. “There will be efficiencies from that because clearly you will have one management group that will run the whole operation, and also efficiencies in terms of productivity because you get better usage of fleet, you get better usage of manpower. A search of the NZ Civil Aviation Authority (CAA) aircraft data base shows there are no more Virgin aircraft registered in NZ. Virgin is also relinquishing its New Zealand AOC as part of the process. Currently, Virgin has Australian AOCs for Virgin Australia Airlines, Virgin Australia International Airlines and Virgin Australia Regional Airlines. There were no changes to both Virgin Australia’s trans-Tasman services and flights from NZ to a number of Pacific Island destinations as a result of the relinquishing of the NZ AOC. Under an open skies agreement, civil aviation regulators of Australia and NZ recognise AOCs issued by either country. This mutual recognition was first mooted in 2000 and came into effect in 2007. For example, Jetstar operates domestic NZ flights under its Australian AOC that is recognised by the NZ’s CAA. 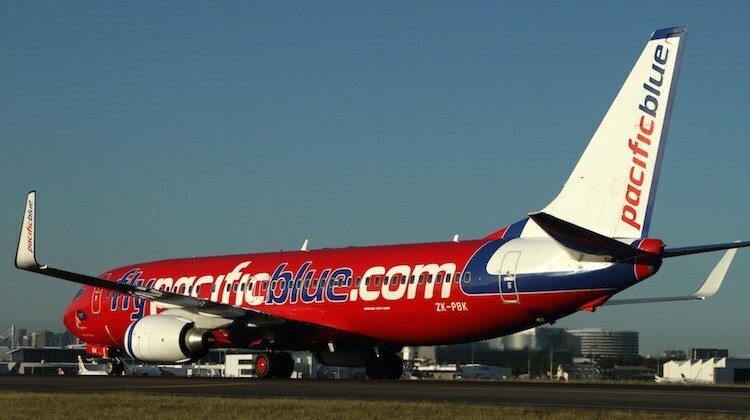 In 2003, the then Virgin Blue set up its Pacific Blue subsidiary to operate trans-Tasman services, with the first flight on January 19 2004 between Brisbane and Christchurch. The airline was then certified to start flying within New Zealand in 2007, with the first domestic flights on November 15. Virgin withdrew from the NZ domestic market in 2010, the year it received approval from regulators for a joint-venture partnership with Air New Zealand across the Tasman. This is kinda sad. It was super awesome having aircraft exclusively flying on the NZ register. VA should bring them back. No, VA should leave them where they now are! Sentiment shouldn’t stand in the way of common-sense streamlining and consolidation.